Author: Rucker, Rudy Set In . . . 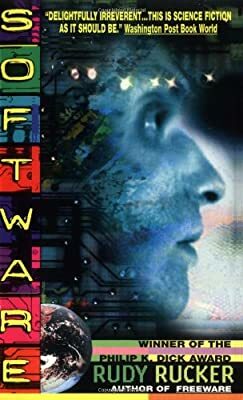 Description: The creator of the first robots with real brains, Cobb Anderson finds himself another aged "pheezer" with a bad heart, and when he is offered immortality by his creations, he risks his body and his world. Reissue.